On Friday September 22nd, Huawei announced it will collaborate with Intel on the 3GPP “5G” New Radio (NR) based Interoperability Development Testing (IODT). The partnership will pave the way for pre-standard “5G” trials based on 3GPP release 15. 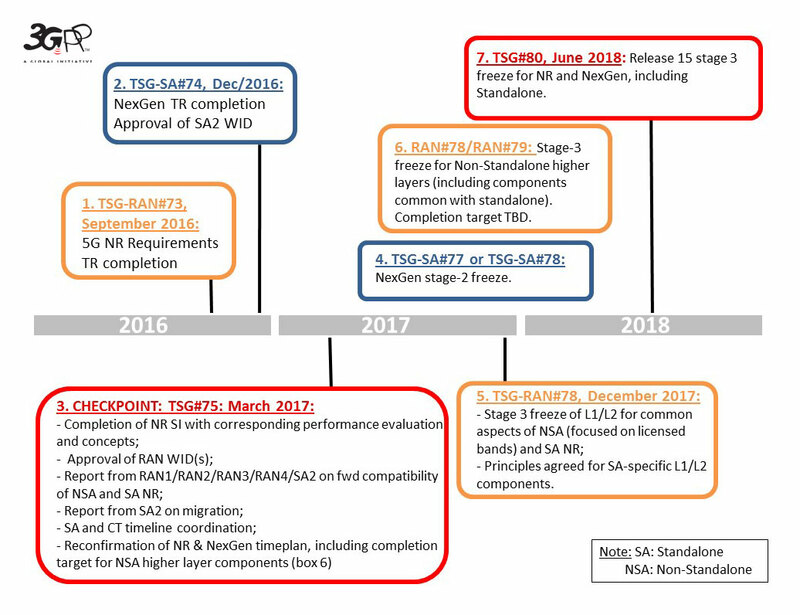 Note yet again, that 3GPP release 15 is targeted at “5G” trials, while release 16 will be a submission to the ITU-R IMT 2020 (real) 5G standards. “The companies will conduct testing in real mobile, over-the-air environments directly connecting Huawei’s infrastructure and Intel’s terminal platform,” Huawei said on Friday. Based on Huawei’s 5G base station prototype and Intel’s 3rd Generation 5G Mobile Trial Platform (MTP), the companies will jointly verify the performance of key “5G” NR technologies which include: Sub-6GHz including C-Band, mmWave and mobility. The companies will conduct testing in mobile, over the air environments directly connecting Huawei’s infrastructure and Intel’s mobile terminal platform. “Huawei is committed to driving the development and commercial deployment of 5G technologies. In the IMT-2020 field tests in Beijing, Huawei has fully demonstrated its competency and leadership in C-Band, mmWave, and downlink and uplink decoupling 5G technology. We are excited to work with Intel to help the industry drive the development of 5G terminals to promote sustainable development and ecosystem maturity of the industry chain,” said Yang Chaobin, President of 5G Product Line at Huawei. “Intel has been actively collaborating with leading players in the Chinese 5G industry to accelerate 5G R&D tests and commercialization with Intel’s end-to-end 5G technology advantages. Based on the latest 5G NR technologies, this joint interoperability test with Huawei will further drive unified 5G standards and the industrial ecosystem in China and across the globe,” said Asha Keddy, vice president in the Communication and Devices Group at Intel Corporation. At the global 5G testing summit at 2017 MWC this past February, Huawei, Intel, and their telecom operator partners jointly announced they would work to drive globally unified 5G standards through 5G testing, enhance cooperation among telecom operators, equipment manufacturers and vertical industry partners, create a unified 5G industry chain from chips, terminals, to network infrastructure and test equipment, and build a global 5G ecosystem. Commencement of IODT seems to be a viable way for Intel and Huawei to achieve this goal. In January, Huawei demonstrated “5G” like speeds of ~ 35Gbps with Singapore telcos StarHub and M1. The company is working with wireless carriers all over the world (x-US) in “5G” trials. Intel and Verizon additionally trialed 5G during the Indianapolis 500 motor race in May, using technologies such as beam forming and beam tracking to attain speeds in excess of 6 Gbps. –>Having missed out on 4G-LTE by backing WiMAX instead, Intel apparently is trying to catch up by putting a lot of engineering resources into 5G development and collaboration.